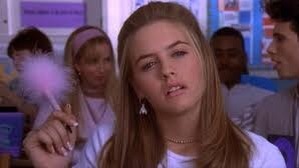 Cher from Clueless? I hear you say. You’re trekking (best word ever) up to 5545m, you haven’t showered in five days aside from wet wipe washes, and main difference; you don’t have a circulating wardrobe with a computerised function to study yourself in each outfit. How on earth do you feel like Cher? Ready for this… I think I’m falling for Josh. Now, I’m quite partial to developing wee crushes on people, both female and male. Addictive personality mate; when I like someone, I do with gusto. And as you know from previous posts, I build up cutesy crushes like that on Rejeesh and the Nepalese waiter. But although slightly serious, they’re more a jovial little joke. But with Josh it’s something different. I’m drawn to him. I’m always looking to see where he is, trying to trek next to him, strategising to sit next to him at mealtimes. I find his conversation stimulating, his wit hilarious and his smile sensational. At first I thought it was because he reminded me so much of my best bud Beaver. The familiarity, I concluded. But yesterday when I realised I’d upset him, I couldn’t deny it anymore. I was gutted that it had been the case. And when he said that none of the boys look at any of us three females in “that way”? I was swallowed by a surge of disappointment. I wanted him to view me like that. Last night was the crux. He was suffering a pretty severe onslaught of altitude sickness and went to bed to nap about 4pm. I was sick with worry. Whenever there was a movement out the window I peered up like a meercat, praying it was Josh up and about. When he finally arose at 6.30pm, so did my heart (I didn’t even realise it had sunk to my six pairs of socks). I’m not going to do anything about it. Tell him? No way jose. And I’m pretty sure he’s completely clueless (cue pun applause). I’m just going to enjoy his company, his chat and his cheer. I’m currently sitting at the table with the crowd and voiced my frustration at putting together a suitable ending for this (obviously I didn’t go into what it ’twas about). Josh piped up with, “Josh is the best”. Oh Josh, you have no idea how fitting that is.